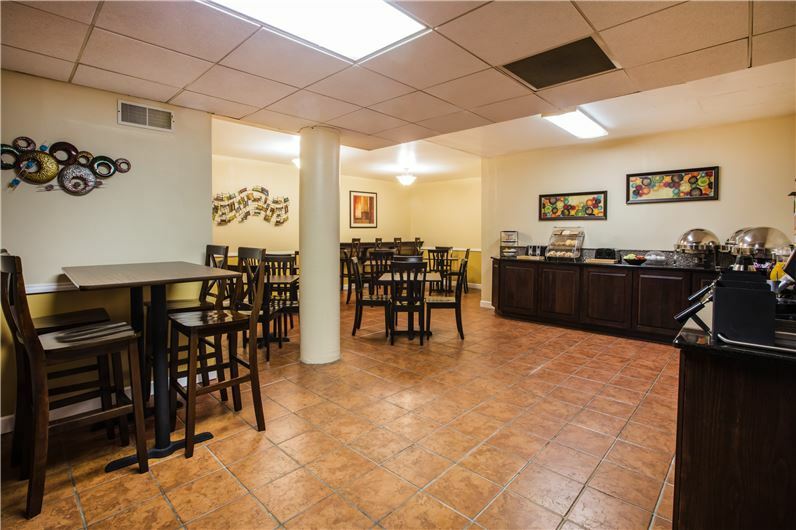 Experience the vibrant dining scene in Ligonier, PA. Great food and fun start right here at the Ramada Ligonier. Start your day with our daily free hot breakfast buffet with eggs, waffles and a whole lot of your morning favorites. For dinner, come by The Bistro Restaurant & Bar, serving a menu of local cuisine, including steaks, pasta, fish and chicken dishes, burgers, sandwiches, and homemade pizza. The Bistro also offers a full bar with cocktails, wine, and beers, including some local brews. Still hungry? Walk one block to Main Street in the charming downtown district to find more great restaurants in Ligonier, PA.
Monday - Wednesday: 4:30 p.m. - 9:00 p.m.
Thursday, Friday & Saturday: 4:30 p.m. - 10:00 p.m.
Daily: 6:30 a.m. - 10:00 a.m. 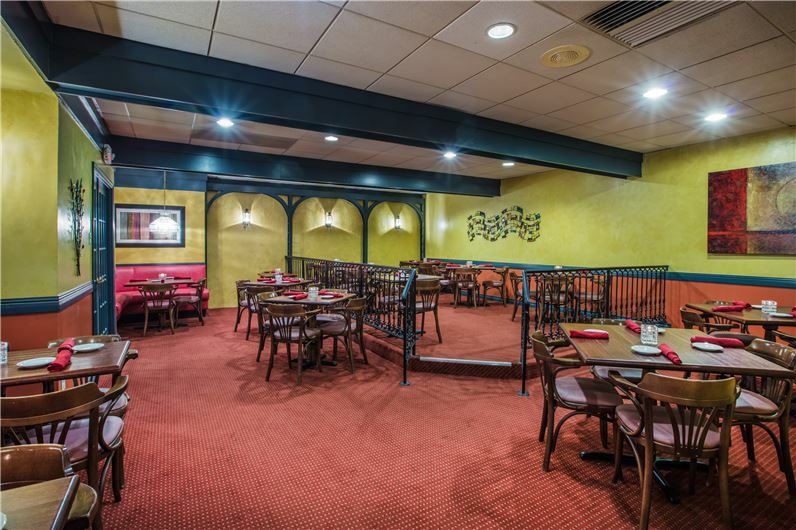 Enjoy regional cuisine, steaks, pastas, seafood, burgers and pizza in this casual bistro-style eatery. 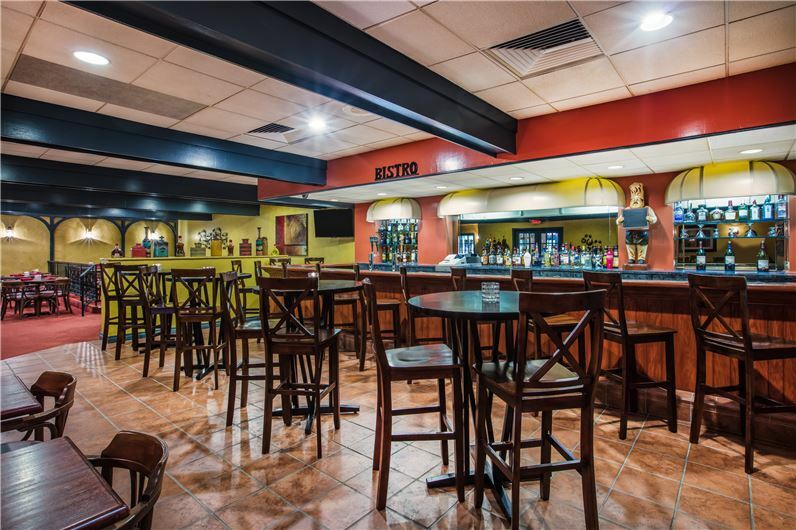 Meet for cocktails, beer and wine at the bar. Offering farm to table dining in the heart of historic Ligonier, featuring daily specials, entertainment, and fresh food from local farms. Gather with friends and family in the dining room, outdoor deck, or at a table in the bar with TVs and Wi-Fi for delicious roadhouse cuisine. Stroll down to this neighborhood restaurant & bar with a selection of domestic and imported beers on tap, bowling and entertainment. Savor classic Italian cuisine, including pastas and veal parmasean, from generations of family recipes, as well as artisan pizzas. Swing by for homemade, hand-dipped ice cream, as well as sundaes, cones and shakes at this charming downtown creamery.